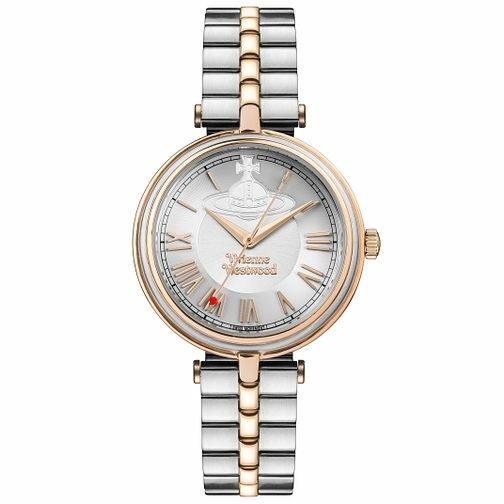 Showcasing the signature style of Vivienne Westwood, this two colour watch is a distinctive accessory designed for the woman who demands more from her wrist wear. Styled with a silver tone dial, and Westwood branding, this is the ultimate statement timepiece. Vivienne Westwood Ladies' Two Colour Bracelet Watch is rated 5.0 out of 5 by 1. Rated 5 out of 5 by Anonymous from Great Service Great service from Ernest Jones, the product i bought was dispatched straight away. I will defiantly be returning for future presents.